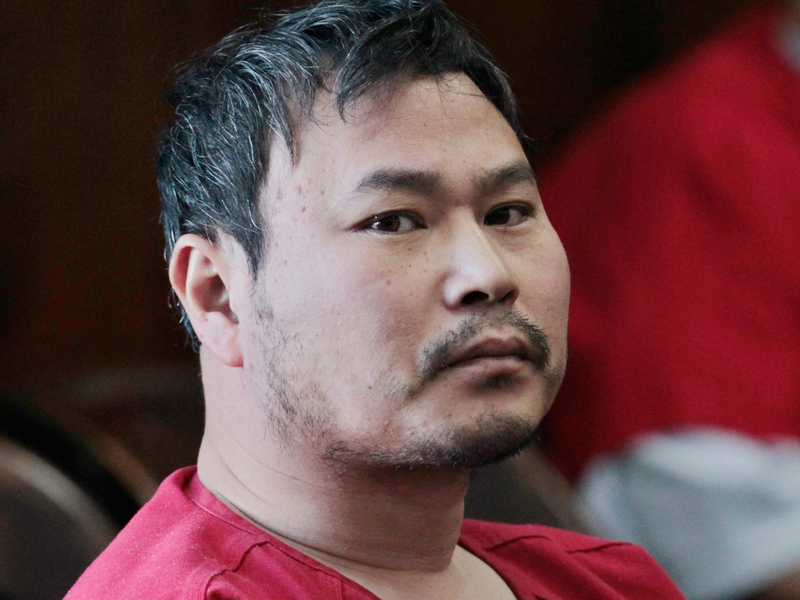 OAKLAND, California - A grand jury has indicted a man accused of killing seven people at a small Northern California Christian college that caters to Korean immigrants. The Alameda County district attorney's office announced Monday that the grand jury on Aug. 22 indicted One Goh on seven counts of murder and three counts of attempted murder in the 2012 shooting rampage at Oikos University in Oakland. A judge ruled last year that the 45-year-old Goh - a native of South Korea who had become a U.S. citizen - is not mentally fit to stand trial after doctors diagnosed him with paranoid schizophrenia. The indictment means Goh can go straight to trial if he's later found competent. The former Oikos student has pleaded not guilty and remains jailed. A status hearing is set for April. Authorities say Goh planned the spree at the school after a tuition dispute. His attorney, David Klaus, couldn't immediately be reached for comment Monday.